Price isn't the only thing when it come to getting your Vittoria products, experienced customer service is priceless! Are you in search for durable racing tires for your wheelchair? The right wheelchair racing tires can make all the difference where competition requires heightened performance. Just make sure they are strong and stable as a top priority while choosing the best one for your wheelchair. 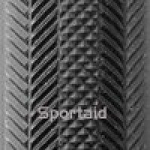 Sportaid offers a full line of inexpensive wheelchair tires from international brands Vittoria with a unique selection of racing tires to provide the performance and reliability you expect. With our collection of JR Vittoria Tubular Tires in 20", 24", and 26", you can trust that you are getting the standards of quality and performance expected from the best equipment manufacturers. For an exhilarating experience and a smooth ride to victory lane, browse through our quality selection of Wheelchair Racing Tires below or feel free to call 1-800-743-7203 for expert assistance. Save as much as 33% on Vittoria by choosing Sportaid today!